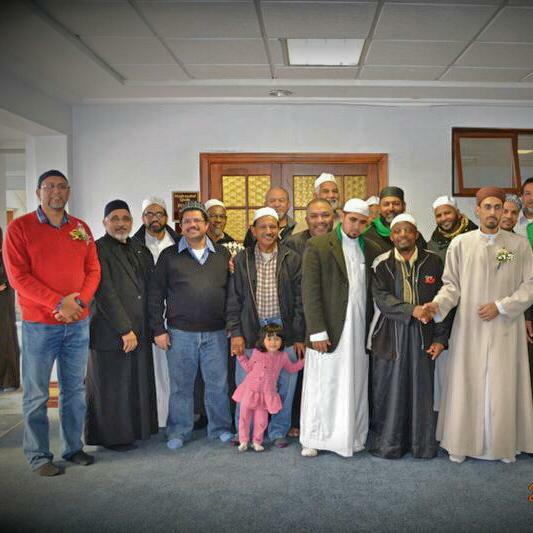 This institution was started in 2006 by Shaykh Muhammad Ali Khalfe and is a product and inspiration of the ‘Al-Zawia’ institute in Walmer Estate, Cape Town. IslamicText is modeled on the Islamictext Society in Cambridge, United Kingdom, where it’s founder Prof. Shaykh Abdul-Hakim Murad, one of the world’s most influential Muslim leaders, resides. The foundation and methodology of each of the three above-mentioned institutes is the “Ihya ‘Ulum ul-Din” – A Revitalisation of the Religious Stciences by Hujjat al-Islam, Abu Hamid al-Ghazzali. The approach is a traditional one, where the Shaykh reads from a classical text and elaborating on it, so as to provide the student with a firm understanding, context and certainty regarding the text. IslamicText looks at education in a holistic context focusing on Tarbiya (nourishment) and Ta’lim (educating). This is the essential relationship between the teacher and student. Education is understood as the nourishment of the mind, body and soul. According to Sayyid Naquib al-‘Attas, inherent in the concept of nourishment and education, is the refinement of character. 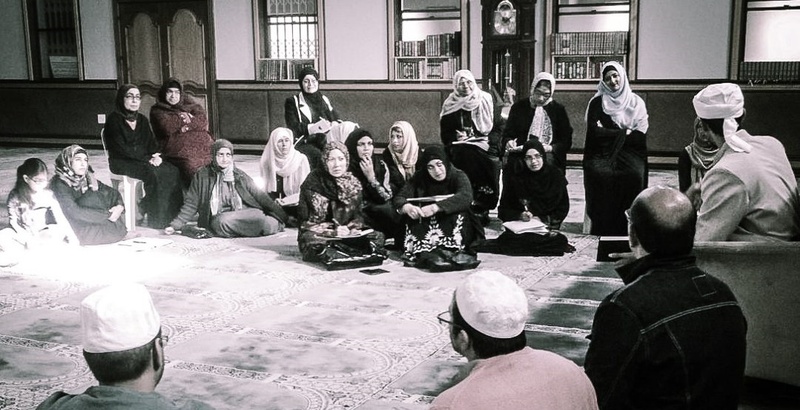 What each of these terms convey is that man, his society and environment, and his relationship to God are interlinked and together they represent the scope of education in Islam. The pursuit of knowledge is a spiritual journey, directed at the heart, with the purpose of transformation. One of the objectives of seeking sacred knowledge is the refinement of the seeker’s moral character (Akhlaq). Scholars are in agreement that one of the treasures of revelation [wahi], is that it has the potential to purify mankind completely. Thus, the legal rulings concerning Islamic jurisprudence [fiqh] is aimed at the purification of the body, the spiritual teachings [tasawwuf] at the purification of the heart, and the laws concerning beliefs [tawhid] at the purification of the intellect. 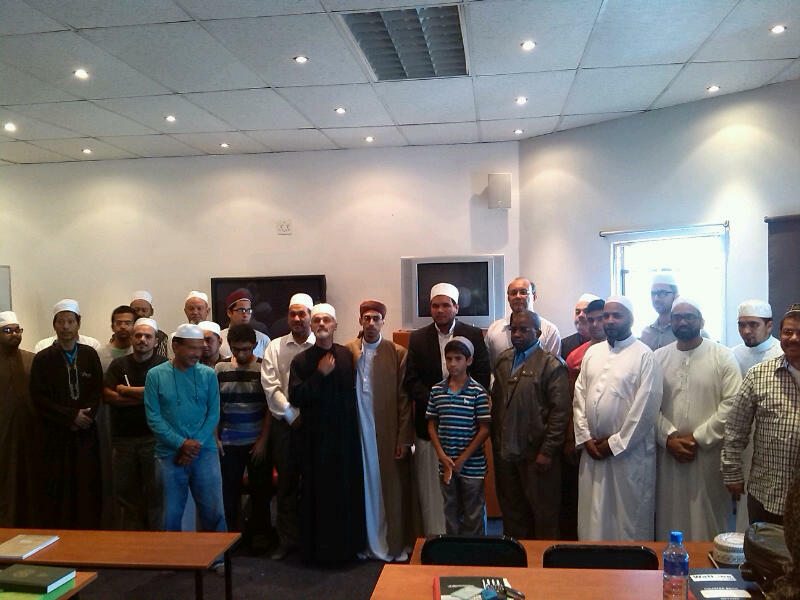 Weekly lectures takes place every Sunday morning at Masjid al-Quds in Gatesville at 10h30 as well as Wednesday evenings at the Park Road Mosque in Wynberg. Lectures are conducted by Shaykh Muhammad Allie Khalfe. Some of the texts covered include, The Beginning of Guidance of Imam al-Ghazali, The Jawhara of Imam Ibrahim Laqqani, The Fusul al-Hikamiyya of Habib ‘Abdullah bin ‘Alawi al-Haddad, as well as the Kifayatul Akhyar, which is a commentary on the classic text of Imam Abu Shuja (Shafi’i Fiqh). Islamictext Cape Town launched its website ‘Islamictext.wordpress.com‘ approximately 4 years ago, which has today seen +- 160 000 viewers. It continues to grow with visitors from around the world, including South Africa, Saudi Arabia, USA, Malaysia and India. Additional works covered include the Riyad al-Salihin of Imam Nawawi, Itqan fi Ulum al-Quran of Imam Jalal al-Din al-Suyuti and the ‘Alaqat al-Dauliya of Imam Muhammad Abu Zahra. Thanks you Sidi. You have such an impressive qualifications. MashaAllah. Kindly convey my salam to your cousin Naeema. Please remember me and my mother in your prayers. Thanks.